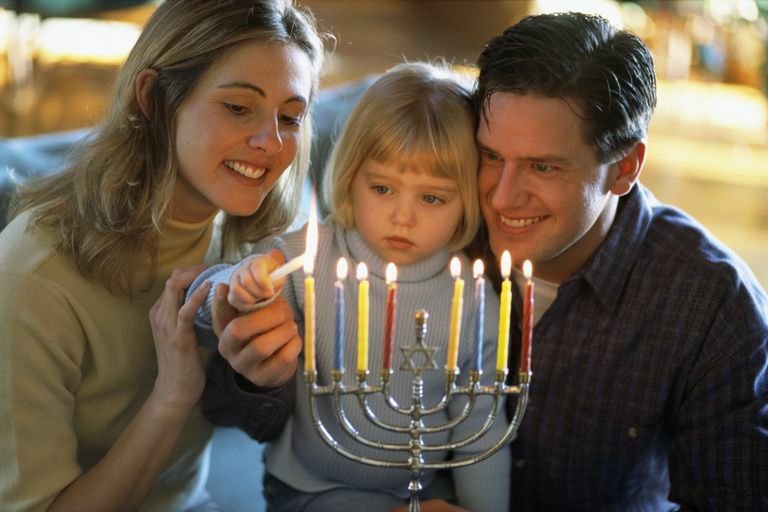 Hanukkah is a celebratory Jewish holiday that lasts for eight days and nights. The holiday this holiday commemorates the re-dedication of the Holy Temple in Jerusalem following the victory of Jews over Jthe Syrian-Greeks in 165 BCE. In addition to eating Hanukkah foods and giving gifts, many Jews enjoy celebrating this holiday by singing songs together. Below are eight popular Hanukkah songs to sing with friends and loved ones this year. Many include audio links so that you can hear examples of the songs. (Translation): Dreidel, spin, spin, spin. Chanuka is a great holiday. It is a celebration for our nation. And I'm waiting for Chanukah to come. With no homes, no clothes and very little food. On Chanukah my candle burns bright. Muchas fiestas vo fazer, con alegrias i plazer. Los pastelikas vo kumer, con almendrikas i la miel. ... eight candles for me. with joy and with pleasure. Women in the Bible: Who Was Vashti?